PennsylvAsia: Tiger & Bunny: The Rising at Hollywood Theater, March 15 and 16. 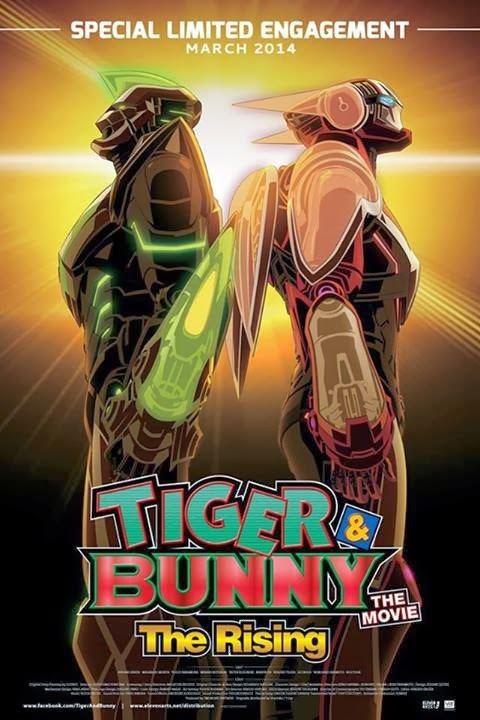 Tiger & Bunny: The Rising at Hollywood Theater, March 15 and 16. Today the Hollywood Theater in Dormont (map) announced a screening of the upcoming Japanese animated film Tiger & Bunny: The Rising on March 15 and March 16. Tickets are $15 and are available online for both shows (15th and 16th) from 1:00 pm on January 31.